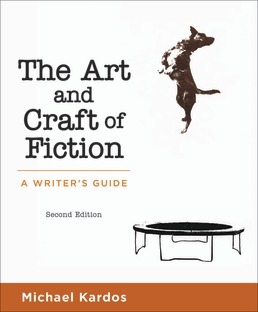 The indispensable guide for fiction writers. As a beginning fiction writer, could you use some practical ideas on ways to begin, end, and revise your stories? Do you need support for creating vivid scenes and characters? This book offers a focused approach designed to help you move from learning your craft to practicing the art of fiction writing. Brief, friendly, and wonderfully readable, The Art and Craft of Fiction gives you all you need to write compelling stories. Whose Perspective Should You Choose? What Is a "First Draft"? How Do You Know When Your Story Is (Really, Truly) Done? 6. Etgar Keret, What, of this Goldfish, Would You Wish? 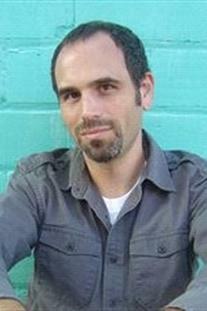 Michael Kardos (michaelkardos.com) is an associate professor and co-director of the creative program at Mississippi State University. He is the author of the story collection One Last Good Time (Press 53), and the novels The Three-Day Affair, Before He Finds Her, and the forthcoming Bluff, all from the Mysterious Press imprint of Grove Atlantic. His short stories have appeared in The Southern Review, Crazyhorse, Prairie Schooner, and many other magazines and anthologies. His essays about fiction have appeared in The Writer's Chronicle and Writer's Digest. Kardos received his B.A. from Princeton University, his M.F.A. from The Ohio State University, and his Ph.D. from the University of Missouri. Kardos is author of the Bedford text, The Art and Craft of Fiction: A Writer's Guide and a contributor to Bedford's LitBits where he blogs about teaching creative writing.